Six years ago today, Tokyo DisneySEA opened up in Japan completing a transformation of the Tokyo Disneyland Park into the Tokyo Disney Resort. The new park along with two new hotels(Tokyo DisneySea Hotel MiraCosta, Disney Ambassador Hotel) and an Downtown Disney-like entertainment center(Ikspiari) make the Resort a much more attractive tourist destination. Of course when Disney fans walked down the themed ports of TDS they were a little startled at the level of detail that the park had. Ok, maybe more than a little startled... this was arguably the most beautiful park created by Imagineers. After this day, the Walt Disney Company would continually hear fans gripping about what we got in America(DCA) versus what the Japanese got(TDS). 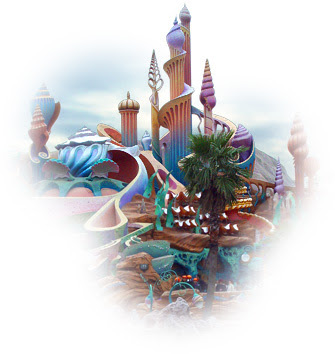 Of course, most Disney fans don't realize that Tokyo DisneySEA is not owned by Disney, but by the Oriental Land Company. If you'd like to see some lovely pictures of TDS then go over to Chris' Tokyo Disney Resort Fan Site. He's got a great eye with a camera... most of his pics are better than the official website. I've been to Tokyo DisneySEA last year and since I live in California I've obviously seen DCA. I will say this, I have never, ever seen such an amazing theme park. I was blown away at the level of detail in this park. When I came back to the states and went with a friend to DCA it was bluntly apparent how badly Michael Eisner handled our second gate. He not only deserved to be fired after seeing the difference in two theme parks bearing the Disney name which opened up in the same year, he deserved to have to return his salary for the last decade. It's that obvious how he mistook that people in Southern California would just take anything with the Disney name and eat it up. The construction of DCA should forever be an asterisk by his name when describing his tenure in charge of the Mouse. Don't believe me? Go to Japan and visit TDS and then argue with me. I won't worry because all I'll get from you is stunned silence. Any chance we get a DisneySea in the USofA someday?